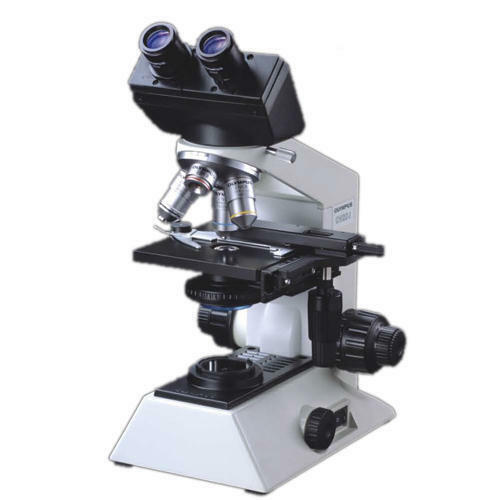 We have been consistently manufacturing, exporting and supplying a wide array of Biological Microscope. This microscope is manufactured using quality approved components by our dexterous troop of professionals at our sophisticated production unit. Provided microscope finds its application in forensic labs, colleges and research institutes for viewing various microorganisms. Available with 3W LED for illumination, this Biological Microscope can be purchased from us at nominal prices. Established in the year 2006, we, Enkay Enterprises, are one of the prominent ISO 9001:2008 certified manufacturers, exporters and suppliers of a massive assortment of Material Testing Machines. Our product selection encompasses Soil Testing Equipment, Rock Testing Equipment and Geotextile Testing Equipment. In addition to the proffered collection, we are engaged in offering calibration and mechanical services of the range. Owing to the consistent efforts, we have received Certificate of Environmental Management System-ISO 14001:2004 and Certificate of Quality Management System-ISO 9001:2008. Since the very beginning, we have focused on the quality and cost control. We export our products in all over the world. We are backed by a state-of-the-art infrastructure facility that is set up with various advanced technology based machines and tools that support us in coming up a large production capacity. To maintain the quality of our assortment, we follow the existing industrial standards such as IS, BS, ASTM, DIN, EN and JIS. To meet with the diverse requirements of our customers, we have hired a team that is well trained and experienced. Our outstanding quality range has earned some of the leading names of the market, as our customers. We are looking bulk inquiries from Mumbai, Chennai, Kolkata, Bangaluru, Ahmedabad, Hyderabad, Lucknow, Kanpur, Varanasi, Jaipur, Jodhpur, Ajmer, Bikaner, Kota, Udaipur, Bhilwara, Alwar, Agra, Meerut, Aligarh, Allahabad, Banaras, Mathura, Jhansi, Ghaziabad, Noida, Bareilly, Moradabad, Saharanpur, Uttar Pradesh, Punjab, Chandigarh, Jalandhar, Amritsar, Ludhiana, Bathinda, Pathankot, Patiala, Hoshiarpur, Himachal Pradesh, HP, UP, MP, Shimla, Dharamshala, Uttrakhand, Dehradun, Haridwar, Roorkee, Rudrapur, Rishikesh, Nainital, Udham Singh Nagar, Indore, Bhopal, Jabalpur, Gwalior, Ujjain, Sagar, Ratlam, Satna, Dewas, Gujrat, Surat, Vadodara, Rajkot, Bhavnagar, Jamnagar, Gandhinagar, Karnataka, Davanagere, Belgaum, Hubli, Chitradurga, Tamilnadu, Coimbatore, Madurai, Salem, Trichy, Tiruppur, Erode, Vellore, Kerela, Kochi, Thiruvananthapuram, Kozhikode, AP, Andhra Pradesh, Visakhapatnam, Vijayawada, Warangal, Guntur, Nellore, West Bengal, Asansol, Siliguri, Durgapur, Bihar, Patna, Gaya, Bhagalpur, Muzaffarpur, Jharkhand, Jamshedpur, Dhanbad, Ranchi, Assam, Guwahati, Agartala, Shillong, Haryana, Karnal, Ambala, Panipat, Rohtak, Hisar, Faridabad, Gurgaon, Maharashtra, Pune, Nagpur, Thane, Nasik, Aurangabad, Rajasthan, Goa, Jammu, Srinagar, J&K, Chhattisgarh, Raipur, Bhilai, Bilaspur, Korba, Odisha, Bhubaneswar, Cuttack, Rourkela, Navi Mumbai, Kalyan, Bhiwandi, Puducherry and all over India and for Export Inquiries from Middle East, Africa, South America, South East Asia.